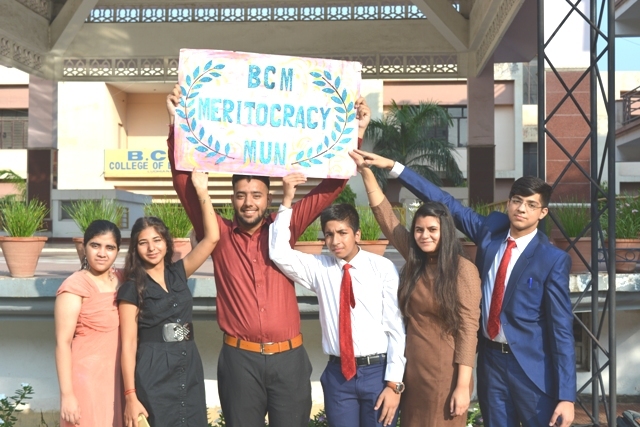 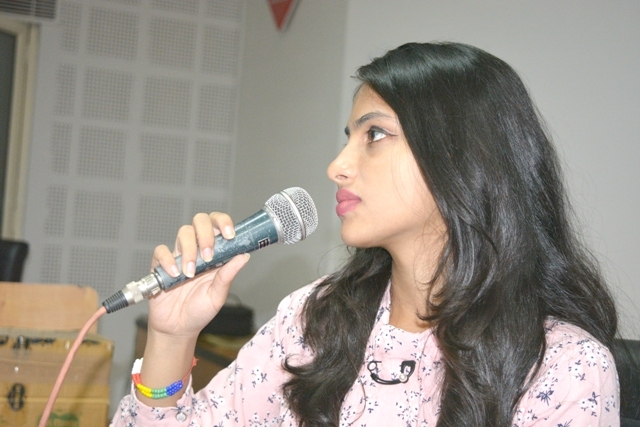 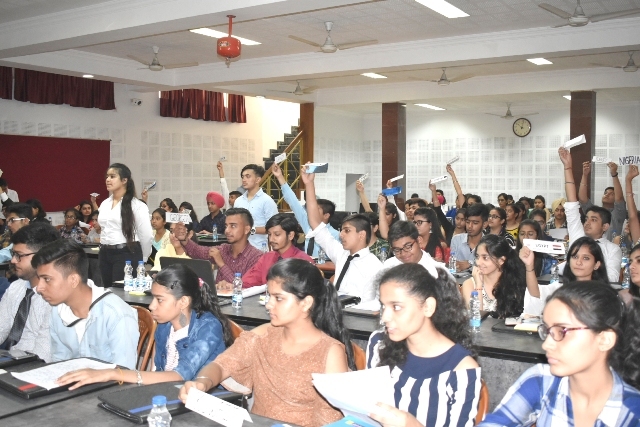 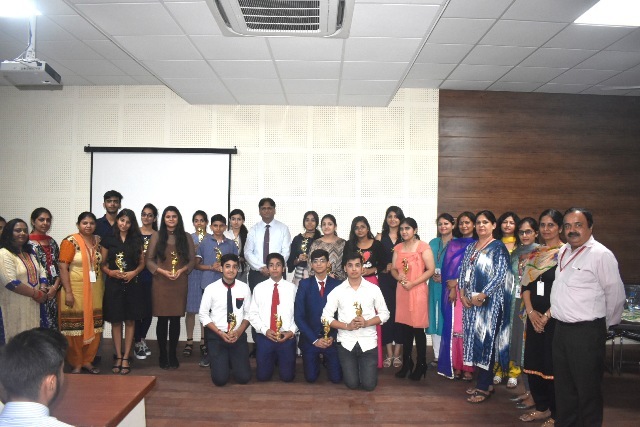 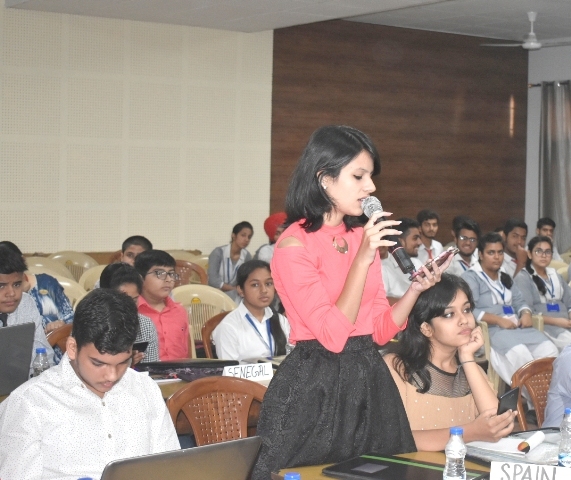 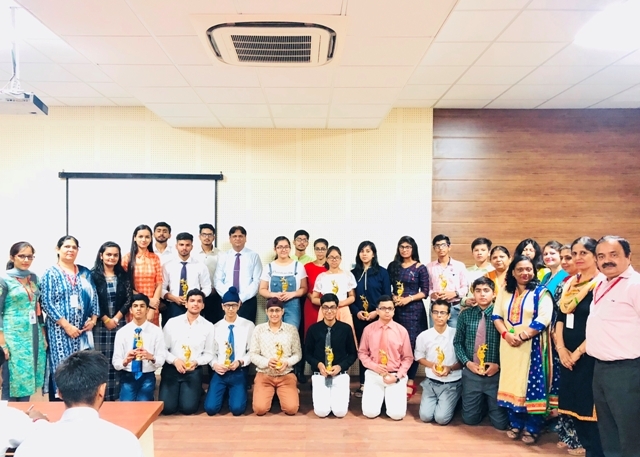 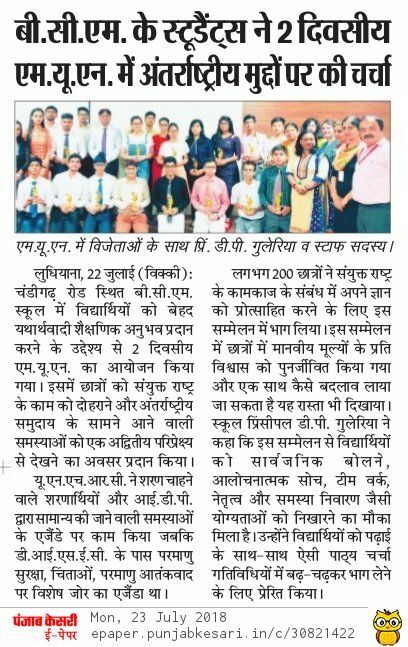 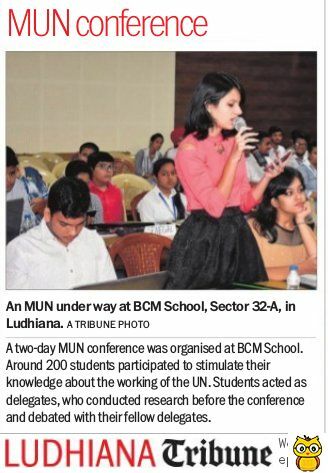 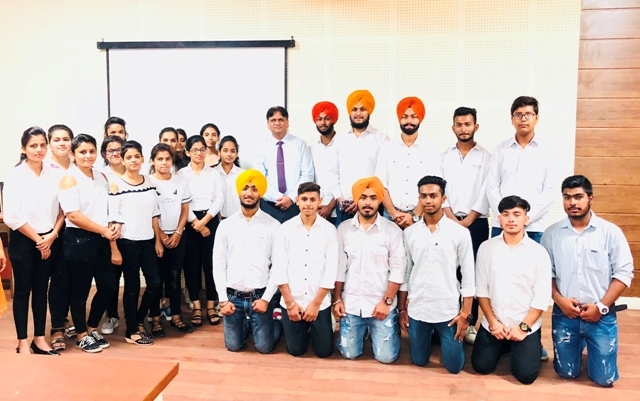 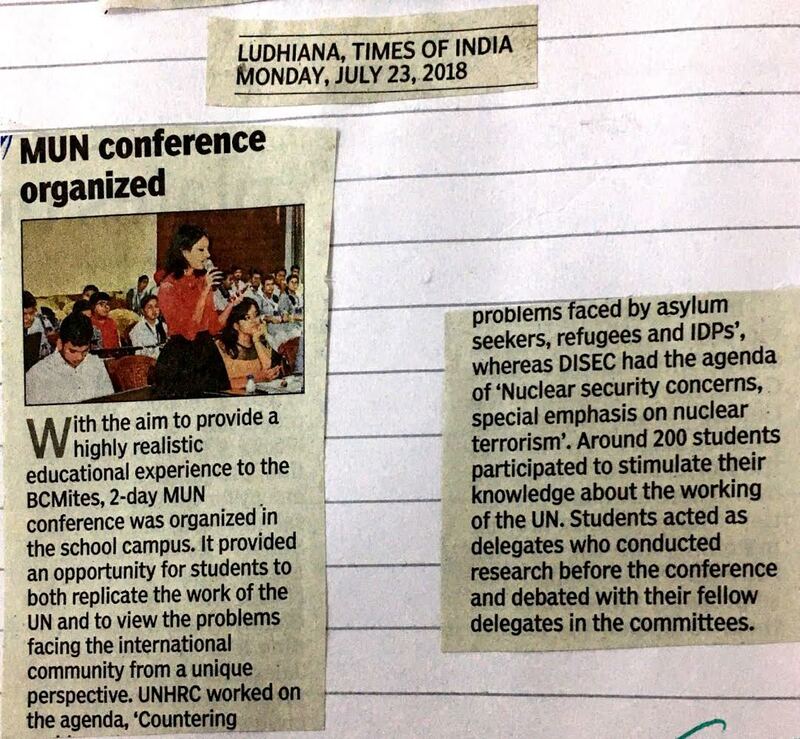 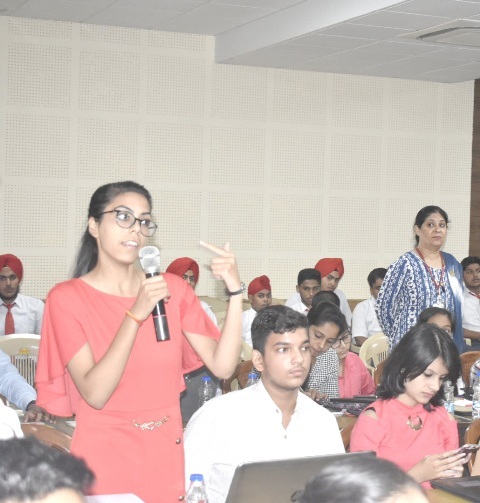 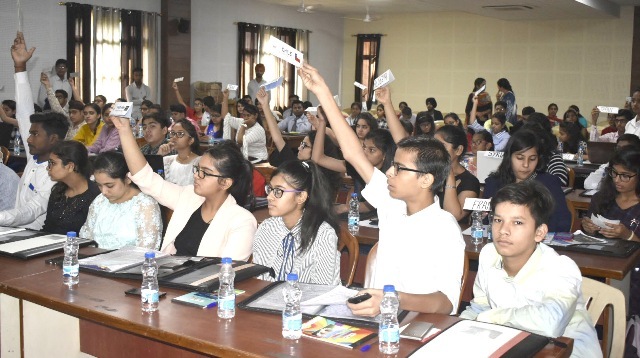 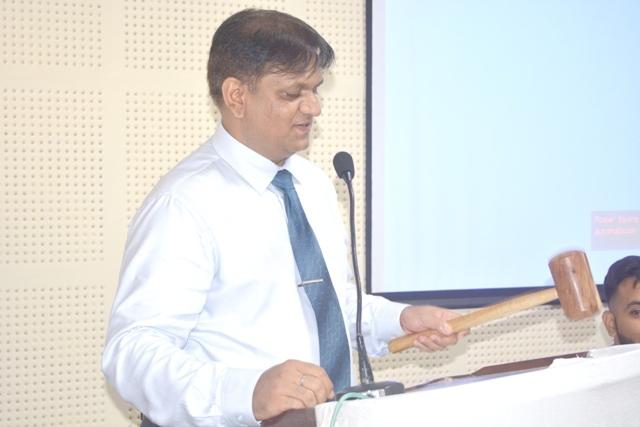 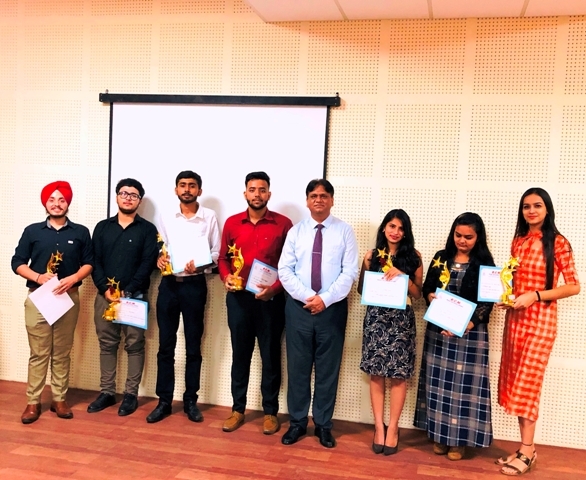 Principal Sir declaring the MUN Conference Open…. 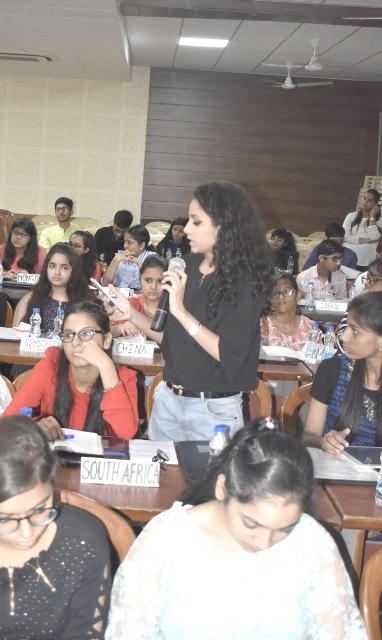 Delegates raising their placards in UNHRC Committee (Global issue: Countering Problems Faced by Asylum Seekers, Refugees and IDP’s’. 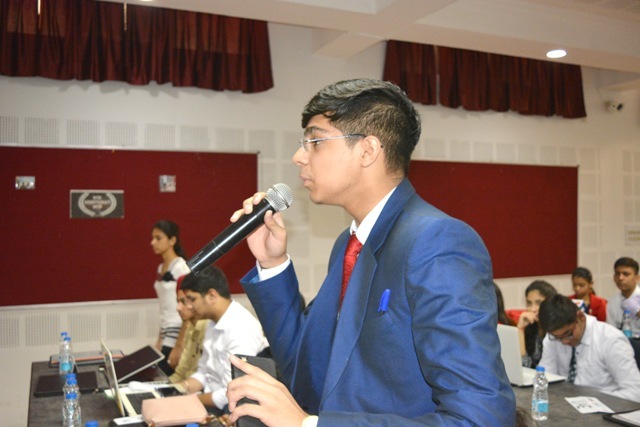 The delegate of Spain putting allegations on other countries.